Day 75. Rain. Should I Stay or Should I Go? January 16, 2016. It’s raining and foggy. I tried to get a weather update using my Delorme InReach SE. I could send a message but not receive one. Grrrr. But I can look outside and can’t see the surrounding mountains. I don’t need to go anywhere. Most of the rest went on into the rain and fog. Arno, Sean and I are staying put. 2 others (not TA walkers) are turning back. It never cleared up which made me feel better about staying. Many of the huts have magazines. Not this one. There are a couple decks of cards. A DOC volunteer showed up and had an updated weather forecast. Rain in the afternoon tomorrow, Sunday. Rain Monday, Tuesday, Wednesday. The day before, the forecast was rain today then nice for a couple of days. That would have been perfect. 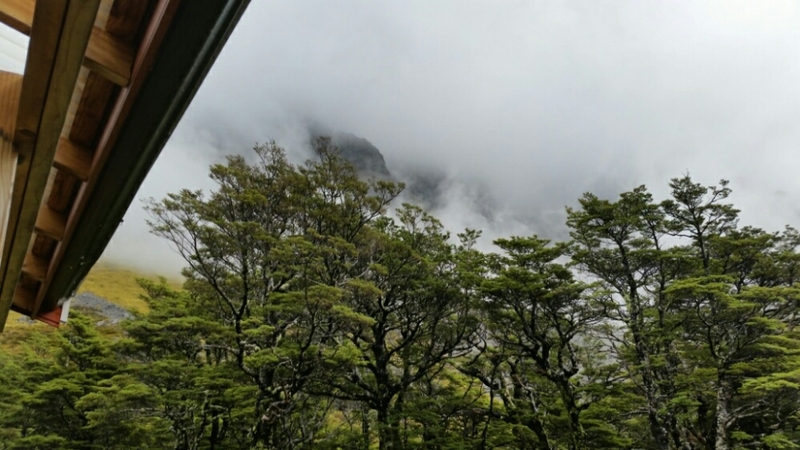 I should have walked over Travers Saddle yesterday in the rain… maybe. 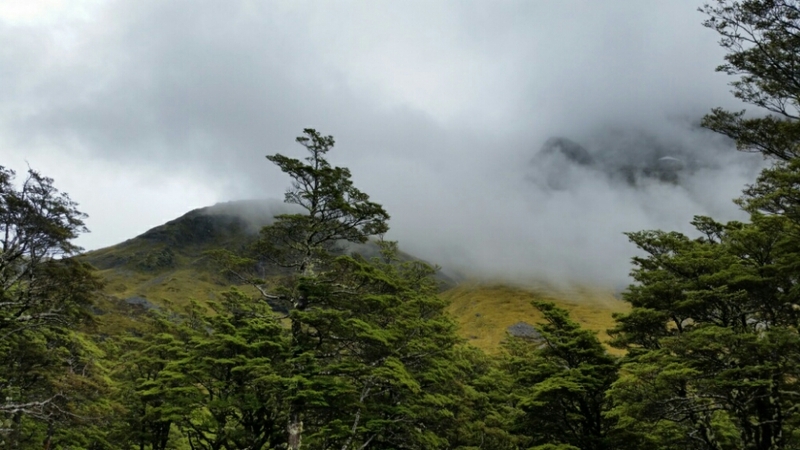 Then I could have done Waiau Pass tomorrow morning. Not sure how this is going to work out. More hikers showed up. A family with a 13 yr old boy. And 3 women from Christchurch…. 2 teachers and an accountant. Another fire and nice people to talk to. 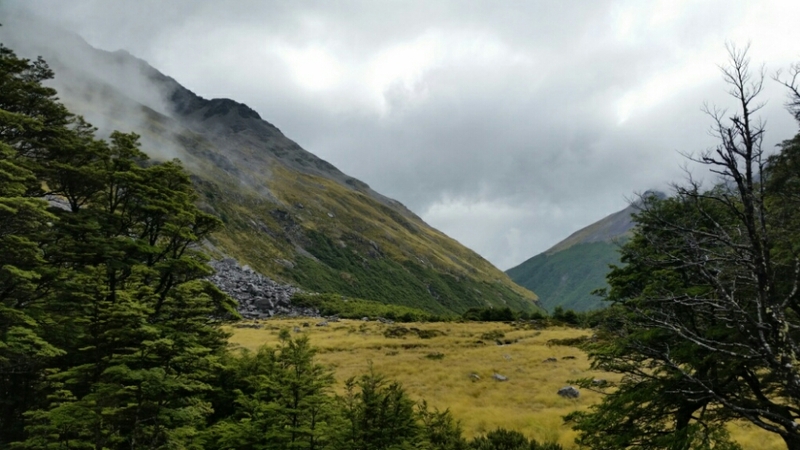 This entry was posted in Te Araroa, New Zealand 2015-16 on January 20, 2016 by nancyhikes. It is doing that just for me!